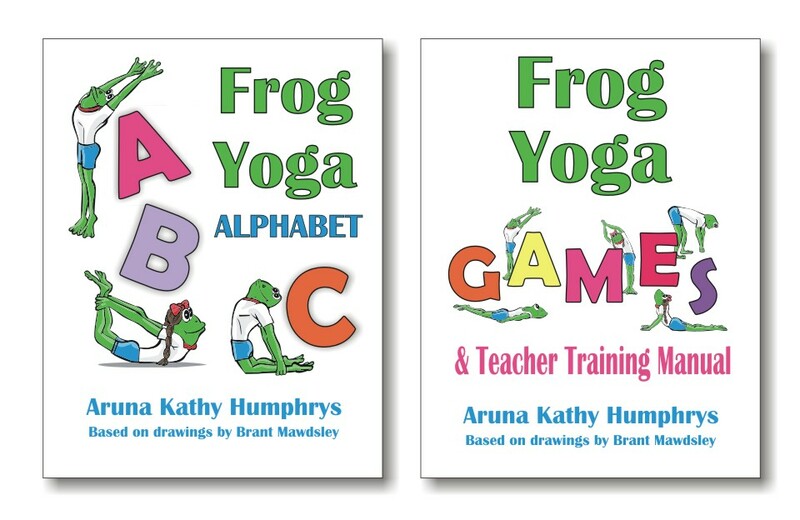 In my first attempt to teach other adults about kids yoga, about seven years ago, I basically compiled a bunch of kids yoga ideas that I learned from other people’s books, DVD’s, and workshops. I took things from the daycare that I worked in too. These things definitely worked with kids. The classes were fun and the training was effective. But a part of me didn’t feel good about it. I didn’t want to just “borrow” other people’s ideas. And I didn’t want to just play pretend class after class. At one point I realized if I wanted to keep teaching kids and train teachers, I needed to create a program that was unique and meaningful. How to Explain “Yoga” to Kids? I started to examine the things that connected with me in yoga and how I could teach these concepts in my kids yoga classes. I started with the idea of what Yoga is. How to explain “Union,” which is a very mystical and deep concept, to kids. That became the first week of my kids yoga curriculum. I began noting how the kids reacted to different themes and how to phrase them so they really made an impact. Then, a curriculum emerged of my favorite yoga themes. I felt relief. Not only was I teaching something that came from within, I enjoyed teaching it a whole lot more. I could not go on, class after class, pretending to visit the zoo! Doing yoga without any depth. 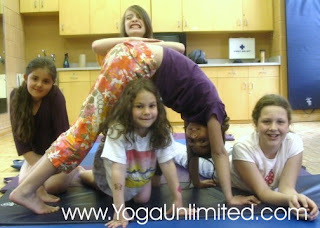 This is what makes my Kids Yoga Teacher Training different from others. Sure we pretend and play games, but we also talk about the ideas of yoga and meditation that make it more than an exercise class. Of the hundred teachers I’ve trained so far, all of them have loved it not only for what it does for their kids yoga classes, but also what it does for them. Awakening imagination, finding your voice, and creating your own story. Don’t you think this is what life is about! Doing it Your Way. I invite all those who feel that yoga is more than an exercise class to come to my next Kids Yoga Teacher Training on the weekend of Sept. 26 & 27. This twelve hour kids yoga training is like no other – guaranteed. It is based on the teachings of my mentor, author of Ancient Secrets of Success for Today’s World, Tulshi Sen. It contains wisdom to build the whole person, body, mind, and spirit. It will train you to connect with kids Your Way. Even if you’ve taken other kids yoga trainings, you’ll be amazed at what you learn in this transformational and extremely playful weekend. There are still a few spots available. Register by this Saturday you’ll save $40. The full details are here. If you’re the kind of person who wants to teach kids more than stretching….I’ll be expecting you there! P.S. Thanks to Adrienne for letting me know my blog was named in The Top 50 Yoga Blogs for a Healthy Mind and Body. Teaching other activities in addition to studies is a good task.Students should learn yoga to keep their mind and body fresh and healthy.A good website provides information about teaching yoga. Thanks PranaMama – I agree it can be hard to teach kids yoga. Luckily when it is more meaningful, it get easier. Funny how that works! I commend you for challenging your own thoughts and systems in your teachertechniques and trainings. It's not easy to step away from something that works "well enough" to make it even more meaningful and educational. As a parent, I'm sometimes critical of kids programs and instructors. While intentions are good, I think too many kids programs don't get the big picture of teaching kids important life lessons while disguising it is playtime. It seems you've done this well! Teaching kids is hard. Teaching yoga to kids is even harder. Congratulations and Best of Luck for a wonderful teacher training weekend!